Size of this PNG preview of this SVG file: 360 × 600 պիքսել. Այլ թույլտվությաններ: 144 × 240 պիքսել | 288 × 480 պիքսել | 461 × 768 պիքսել | 614 × 1024 պիքսել | 420 × 700 պիքսել. English: Triangular prism ovair. 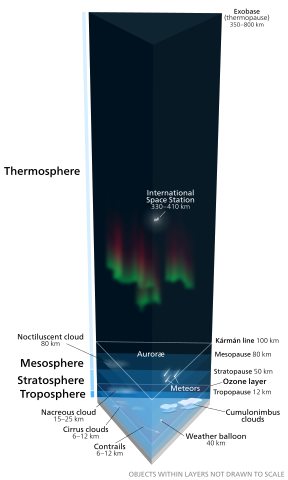 The layers of the atmosphere are drawn to precise scale. Objects within them, such as the weather balloon are not. It is designed to be displaced at its native resolution (430×700px) or higher. It will render incorrectly (things start disappearing) below that.